Website landing pages are important members of the sales team. They serve information to visitors that “arrive” (by link from a home page or an ad) and contain a “call to action” directing visitors to behave a certain way. The next level of website landing pages are now here, thanks to SharpSpring, our automated marketing partner. 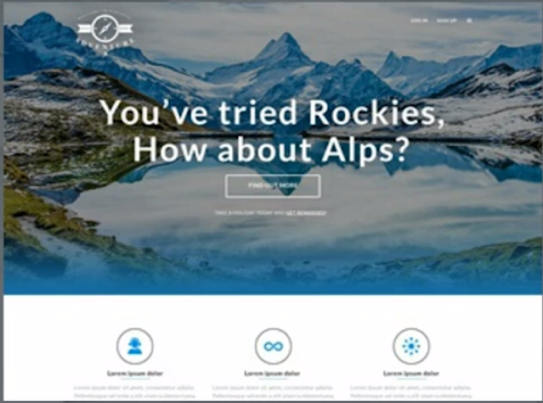 Dynamic landing pages, created within SharpSpring, offer improved conversion by customizing the website visitor’s experience. Simply put, you can existing lead data captured in SharpSpring to build web pages that display different text, images and calls to action based on individual lead attributes and interests. In the past, creating a dynamic web experience required complex programming and layout. Testing of different layouts added to the complexity and difficulty. Now you can set up one landing page that adapts to any number of user profiles. Simply create dynamic rules based on specific visitor profiles so users only see content that’s tailored to their specific attributes. Once your rules are in place, click on the individual landing page elements – text, images, headers, videos – and select which content should appear for which user types, without any programming. Dynamic landing pages are a high-converting method that can help you get a lot more out of any campaign. Your leads will be far more likely to engage with you, and ultimately make a purchase, if your webpages address specific things they’ve done, places they’ve been, and things they like. You’re making their entire web experience personal. For example, if a travel agency wants to improve its conversion rates, it can use dynamic landing pages to offer its clients new travel ideas based on the places they’ve already visited. That same landing page can be used for any client who has previously traveled with the agency (or even new clients, if they’ve provided any relevant information on their previous travels). By creating a rule based on “preferred type of destination,” the agency can set the page to display exactly the right destination content for each visitor. If a client has visited the Rocky Mountains, one may assume he/she has a preference for visiting mountainous destinations. So when the client revisits the travel agency’s website, the main landing page could display an offer for another similar trip. In this case — how about the Alps? Another way you can leverage your data is by basing the dynamic content (that a given lead will see) on his/her lead score. Lead scores are awarded and accumulated in SharpSpring based on visitor’s behaviour at your website. You can create a single landing page page that will display one of multiple possible options depending on whether a lead is above or below a specified lead score threshold. For example, you can set it so that new visitors with lower lead scores will see an option to download an ebook acquainting them with your product or service. For previous visitors whose lead scores match or exceed the specified lead score threshold, the same page can display a demo offer or testimonials for your product or service. The principle behind this is that those with higher lead scores are further along in a buying decision and should see content that is relevant to a making a final purchase. This is all based on the data that SharpSpring has collected on your leads over time, allowing you to take full advantage of that data and truly personalize your campaigns. Dynamic landing pages are available now and another great reason to add automated marketing to your website.